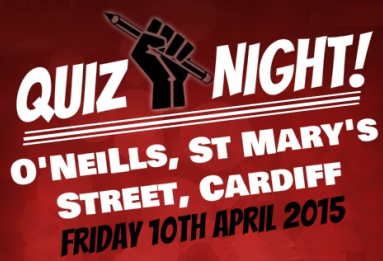 On Friday 10th April 2015 at O’Neills in Cardiff, the campaign will be hosting a Quiz Night to raise funds for our work in Wales. The night kicks off at 7.30pm and a ticket costs just £6 per person, which comes with a free bingo game. The Quiz Night fundraiser is sponsored by Simpson Millar Solicitors.